That’s the east African way of saying, “There’s no ‘i’ in ‘team. '” The truth is teamwork always makes a difference. We need each other. And, when we work and play together, the fellowship that results is always a winner. 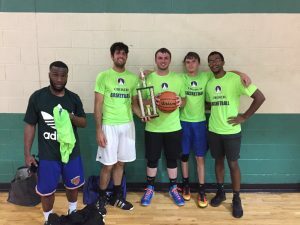 Last week saw the season finale tournament of the Men’s Church Basketball League. 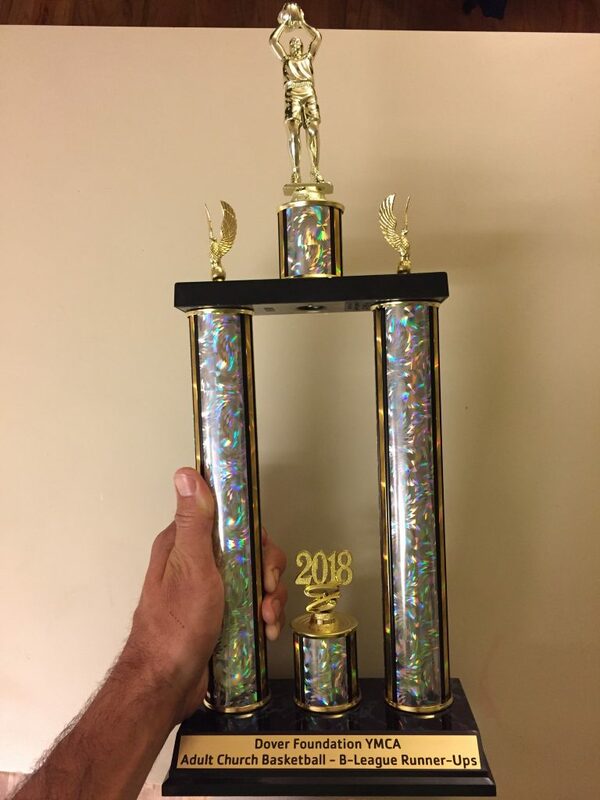 Our First Baptist Church Men’s Team finished 2nd in the league championship tournament this year earning the runner up trophy. Trey Warrick led the team this year and did a great job as leader in the player/coach role with seasoned veterans like Tebin McDowell et al close by to cheer, get in some minutes, or drain an occasional three-pointer. The Committed Core: E.J., Trey, Landon, Brandon, and Emmanuel. The carried the banner well! Once again the making of good fellowship and court success comes as a result of members working together as a team — young men (who grew up in First Baptist), older men (who still love the thrill of the game), and still older men (like Gene providing support) encouraging one another along the way. Herein is a great picture of how the church works together to share the Gospel and the love of Jesus. It takes us all playing our part and encouraging one another as we serve together. The fellowship is great as a result and our neighbors are able to know the victory that is theirs in Jesus for the living of this life. Father, help us to serve one another, trust and love each other and be the source of encouragement our brothers and sisters need as together we make your difference in the world!